October | 2015 | "A Stitch in Time"
And… back to the Love Inspired romances from the library. 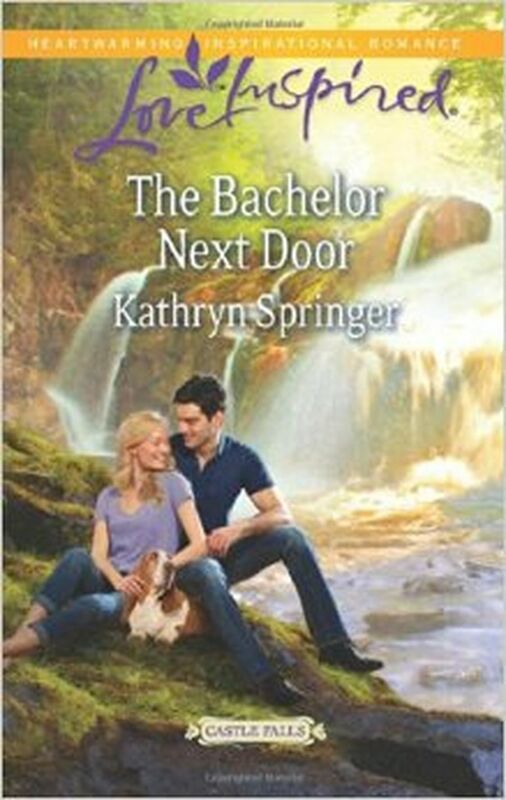 The Bachelor Next Door by Kathryn Springer has two very different souls battling much the same problem – an over commitment to work and success while forsaking love, faith and fun. The difference is that we come to these characters with one (Lily) well on her way to realizing her faith and priorities in a healthy manner and the other (Brendan) struggling to find any sort of balance outside of guilt and work. Lily is helping out her friend Shelby who has contracted lymes disease and cannot take on a job at the family home of Brendan painting a number of the rooms. All of this was set up by Branden’s adopted (once foster) mother Sunni who then leaves for a cruise. This leaves the two of them in the same house during the day (offices for Branden) where interactions are unavoidable and romance and faith blossom. This book is different from the “usual” Heartwarming Inspirational Romances in so much as there not being a child directly involved in the main interactions. Though I have noticed that the idea of foster parents or one of the main characters being adopted is quite common. In this case the 3 men Lily comes most in contact with (3 extremely handsome brothers) are all adopted and Lily herself was without a mother at a fairly young age. This book was a lot more faith first than some of the others, a lot of the activities they end up doing go back to the church, the main focus of the company Brandon is trying to save is a Christian message. Definitely a lovely story with lots of character growth and a nice ending that is basically wrapped up in a bow for you. At the rate I am enjoying these books I may have to start asking requests! 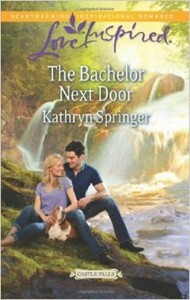 Can you believe it, a library find that is NOT a Christian contemporary romance?? Well, a girl has to wander the stacks once in a while. 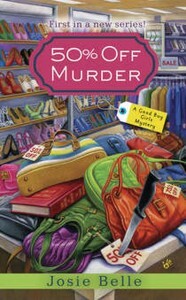 50% Off Murder by Josie Belle was a lucky find. The first in the “A Good Buy Girls Mystery” it had me in giggles and on the edge of my seat (though I have to admit I figured out the who did it JUST before the lady of the hour did… widow Maggie Gerber). Maggie and her friends are frugal pros, for various reasons. In fact, at the end of the book are suggestions for thrifty living. Maggie is an empty nest widow who has moved in her niece and niece’s toddler son while said niece studies for school. Married to a police officer who died early in their marriage in the line of duty she is an independent lady with a feisty spirit. Enter old flame and new sheriff Sam Collins right in time for a local murder in of all places, the local library! One of Maggie’s friends is arrested for the murder and the hunt is on to prove her innocence. I love the people in this book… there is the boy genius who works at the local ice cream place with multiple degrees, the classic mean girl (Summer) who is out to get Maggie, and a wonderful circle of supportive friends. I really enjoyed this one. There is a hint of a future romance but neither party gave way to their interest. The mystery is intriguing and the hunt to figure out the culprit keeps you hanging. A bit of a longer read than the light romances I have seemed to amass lately, but all in all a classic cozy mystery for the frugal girl in all of us. 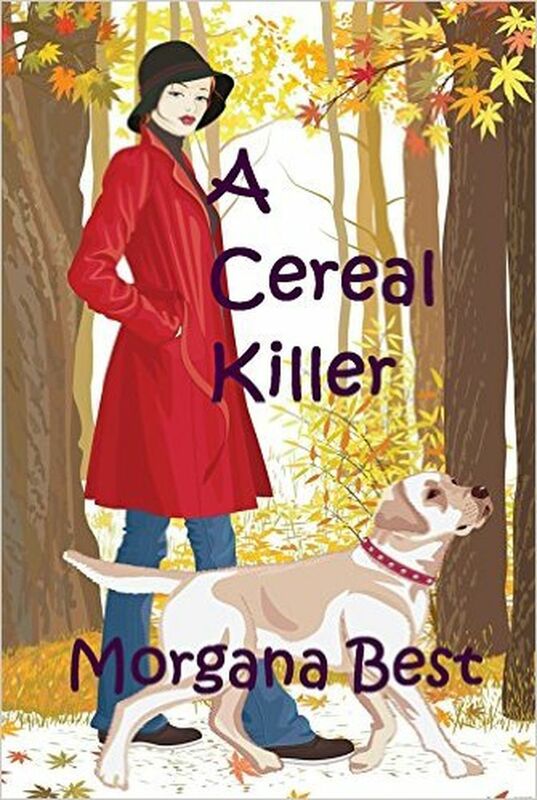 A Cereal Killer by is the first in the Sibyl Potts Cozy Mystery series by Morgana Best. 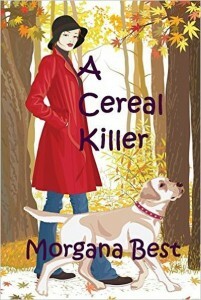 Set in Australia, it is a rather intriguing and fun cozy mystery. There is a murder in the boarding house up the hill and Sibyl has the bad luck to walk into it. I don’t know that unique characters really gives the full impression of the people the main character Sibyl is introduced to post divorce as she begins life in a new town in a different state of Australia. Mr. Buttons of the cucumber sandwiches and obsessive compulsive disorder… and Cressida Upthorpe her landlady, painter of some very unique, somewhat macabre paintings, theatrical to the core. Sibyl herself is interesting with her failed marriage and somewhat psychic abilities (as a child to see dead people and later to foretell the future, just not always when she would like to). The story begins with a death, well after we learn more about Sibyl’s somewhat messy divorce from Andrew the stingy. Which ties in nicely to the murder by cyanide (the product of the mining company Andrew works for). And it all goes from there. While I do not know too much about Australia I really did enjoy the descriptions of the area and the author is terrific at sharing terms that would be unknown to someone not native to the country. All in all a great mystery, no real romance in this volume and, while certainly a quick read it was highly enjoyable!